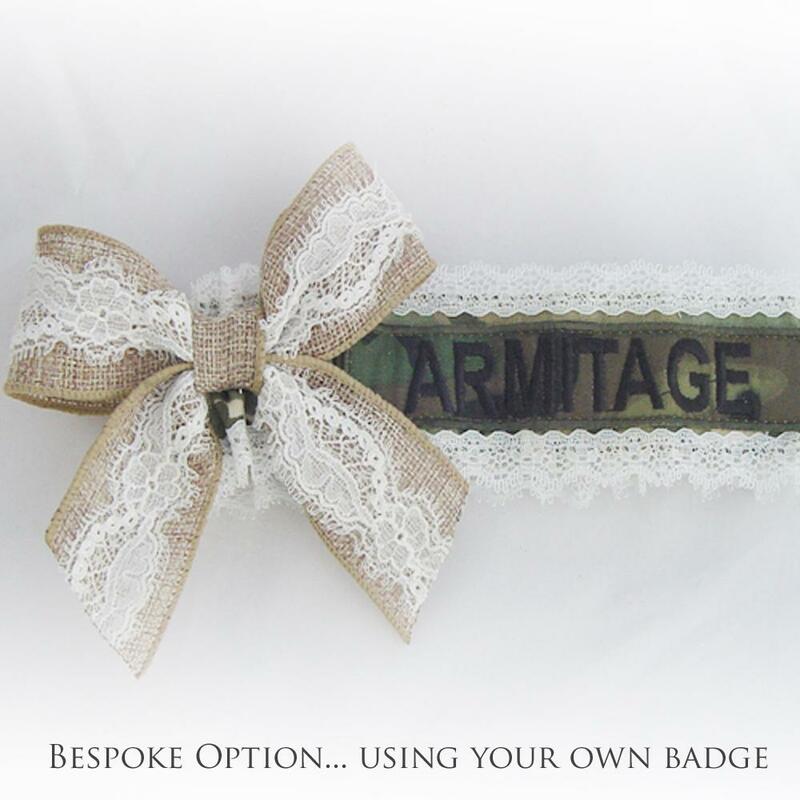 Camouflage army garter with pretty vintage ivory lace trim and camouflage bow. 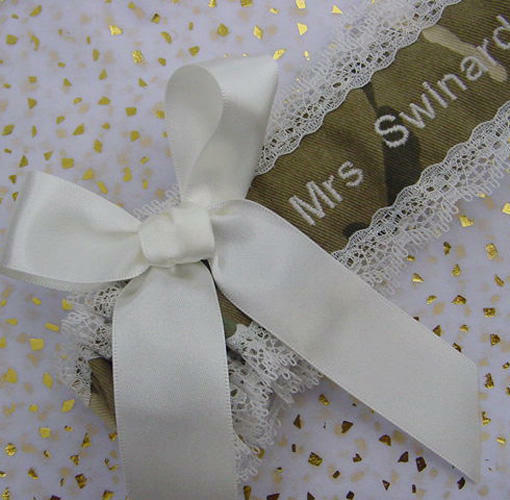 Great if you are an army girl or the bride of an army man! Please double check the army number is correct before paying! 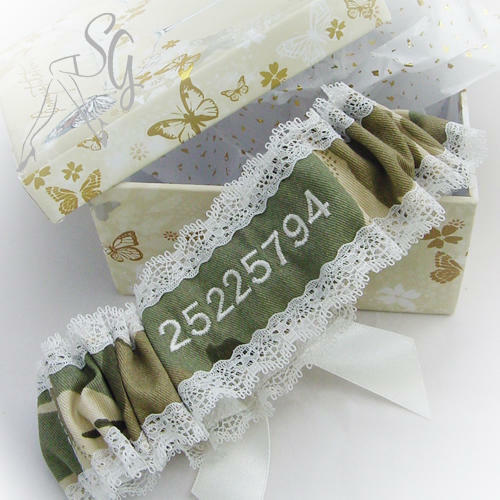 The garter is amazing! EXACTLY what I was thinking of. Thank you so much for your help, I will be sure to recommend your services to my friends.